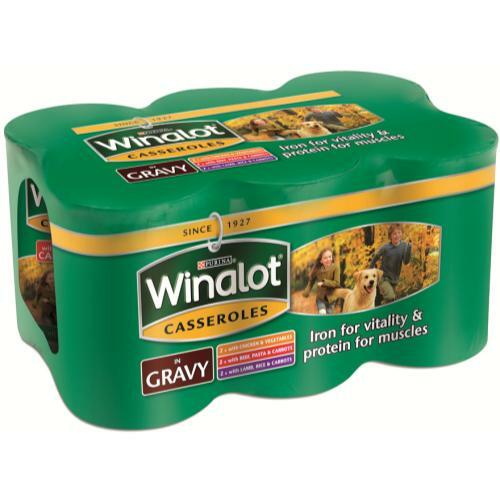 Winalot’s homely Casserole Selections range of delicious adult dog foods provide comprehensive nutrition in succulent meaty chunks and a rich jelly, created with only your four legged friend in mind! We know that your dog is a very special canine who casts aside your everyday tensions and stresses with bundles of excitement each time you come home, which is why Winalot is rich in everything your dog needs to stay bright eyed and bushy tailed! Ingredients: Meat and animal derivatives, cereals, vegetable protein, extracts, minerals.